During eighties and nineties, Washington DC rivaled the state of New Orleans for crime rates. However ever since government intervened into such matters, the crime rate in Washington DC has fallen dramatically. Local residents and tourists are warned against visiting the northeast and southeast parts of the city. There are certain neighborhoods that contributed to the bad image projected to the city. As a tourist, there is no need to worry about being a victim of crime. All you need is to be aware of things. To be safe in the city, it is best to be aware of muggings. Watch out for the Shaw/U Street and Adams Morgan-Columbia Heights. Although there are no advisories to totally avoiding the area, it is best to vigilant. In order to be safe, avoid walking at the side streets during the night. Stick in the well-lit commercial area. Always travel in groups. If you are planning to get drunk, be sure to have a level of sobriety. There are many police forces working in the city. 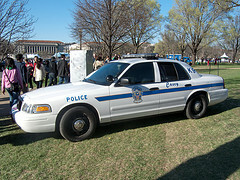 Some of the notable ones that ensure public safety are Metropolitan Police Department, United States Park Police, United States Capitol Police, Metro Transit Police Department and United States Secret Service. There are Marshalls and Secret service agents roaming around the city, mainly for surveillance. 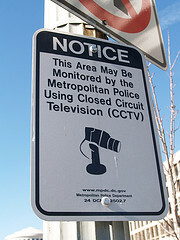 The police department of Washington DC has access to several cameras. If you are attending a big event, most likely there are security zones that protect attendees. Monuments and museums are guarded. It is best to bring just enough cash if you want to go to restaurants and parks. It is advisable that if you plan to visit neighborhoods, always be on alert. Some of them are not friendly. There are some racial tensions in some of the areas. It is best to read and find out more information about the safety of the particular locality you are about to visit. Visiting any new place would always require you to be safe. There are times when you have to be aware of your surroundings. Even though Washington DC is a political area, it does not mean that you are hundred percent safe. Always be cautious. Secure your belongings at all time. Be sure to just bring the necessities if you are planning to walk around the city. Your hotel is a good place to deposit some of your important items. Before traveling, it is always advisable to be informed about the situation of the place. Check out signs of precaution. If you are visiting a certain attraction, always follow safety guidelines of the place.